One of the best summer events in Hendricks County is right around the corner! The Hendricks County Rib-Fest and Avon Balloon Glow returns on June 24. This celebration has become a local tradition, and this year promises to be another excellent, family-friendly event. Of course, one of the biggest draws at Rib-Fest is the food! Local restaurants will compete for "Best Ribs" and "Best Sauce" awards. 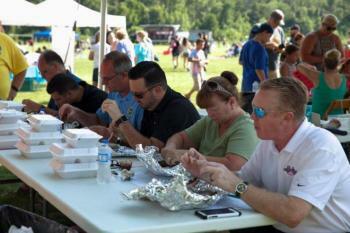 There will also be a wide variety of local food vendors on site, serving up delicious barbecue and other tasty treats. You&apos;ll find everything from ribs to shaved ice! 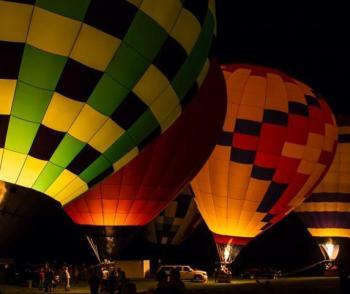 But you absolutely won&apos;t want to miss one of the biggest events of the evening, the Avon Balloon Glow. As the sun goes down, hot air balloons will fill the sky, creating a beautiful image, as they light up to music. Trust me when I say that this is a sight you&apos;ll want to see in person! Following the Balloon Glow, there will be an awesome fireworks display. It&apos;s the perfect end to an amazing day of summer fun. We recommend bringing along a blanket or lawn chair so you can comfortably enjoy the show! When: Saturday, June 24 from 4 p.m. until dark. Where: Kingsway Christian Church, 7981 E. County Road 100 North in Avon. Admission: FREE, but there is a $5 parking charge and be sure to bring cash for food, shopping and other activities! You can purchase tickets for the tethered balloon rides here.